Explore Oslo and get a great workout with this 3-hour kayak tour. 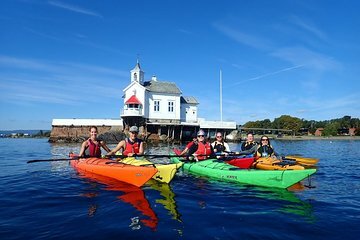 Paddle through the beautiful waters of the Oslo Fjord as you see city sights and nature highlights like bays, beaches, and islands. No prior kayaking experience needed. Professional local guides can customize tour to suit group size and experience level.